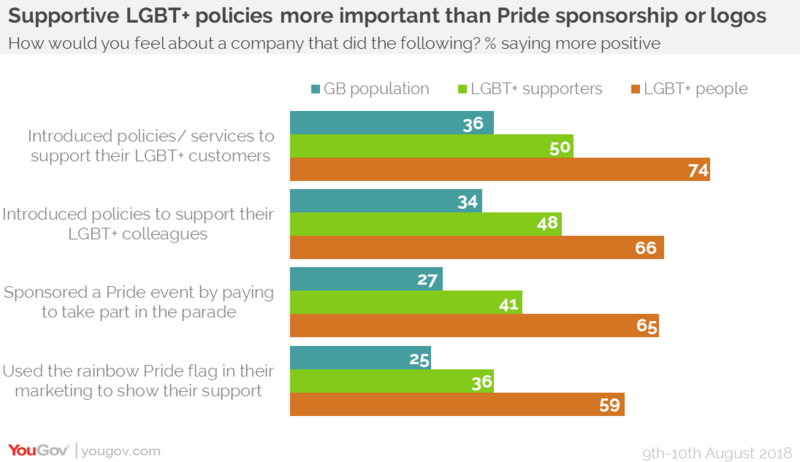 How do Brits feel about brands getting involved in Pride? September 04, 2018, 8:37 a.m.
We asked Brits how positive they feel towards brands that participate in Pride-related marketing activities. However, across the board a greater number of people would be more impressed by a company that introduced policies actively supporting LGBT+ employees or customers. 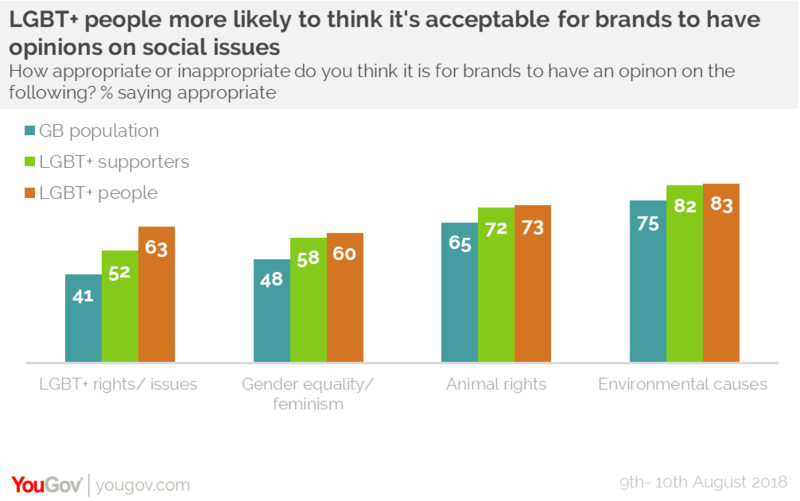 LGBT+ people, as well as those who support LGBT+ rights, are more likely than the general population to believe that it’s appropriate for brands to have an opinion on topics such as gender equality, animal rights, and the environment. What’s more, when it comes to choosing which brands to buy from, LGBT+ people are more concerned than the public as a whole about: how fairly staff and customers are treated (34% vs 27%), whether a brand or company’s values align with their own (22% vs 15%), and whether a company’s goods or services are ethically sourced (30% vs 22%).